Sengiggi Beach is one of the main tourist locations in Lombok. With beautiful white sandy beaches with some good snorkeling and diving close to the beach. Sengiggi Beach is only a 20 minute taxi ride from the airport at Mataram. There are a number of good bars in Sengiggi which has live music, cold beer and also serve good food. The night life is fairly tame and most bars close around around 11pm or 11.30pm. Weekends sometimes later. Happy Cafe has live music every night of the week. Generally Reggae music though the band takes request and vary rarely doesn't know the siong being requested. There are plenty of internet cafes that charge 18,000Rp per hour. They will allow you to plug your laptop in to their network for the same price. There are also lots of WiFi hotspots all along the beach. You can purchase a card from the internet cafes for 10,000Rp per hour and use this in the restaurants, bars and hotels along the beach. There is accommodation in all price ranges available in Sengiggi, from budget, backpacker hotels to luxury resorts. Bumi Aditya Bungalows is the cheapest accommodation and also has a small swimming pool. Located just 200m off the main road of Sengiggi so just 300m from the beach. With a village atmosphere surrounded by local houses and farms. Room prices start from 50,000Rp per night. For pictures, prices, contact details and hotel reviews click here. Dharmarie Beach Hotel. 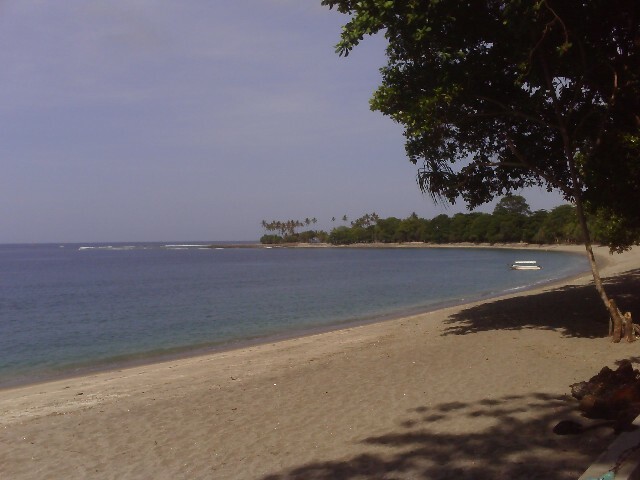 Located at Senggigi Beach. Prices from US$35 per night. Matahari Lombok Villas luxury accommodation located in Senggigi. Room rates from US$60 per day including transfer from Mataram airport. Holiday Resort is located just north of Sengiggi Beach. A great resort with massive swimming pool. Room prices start from US$67 per night (internet rates). 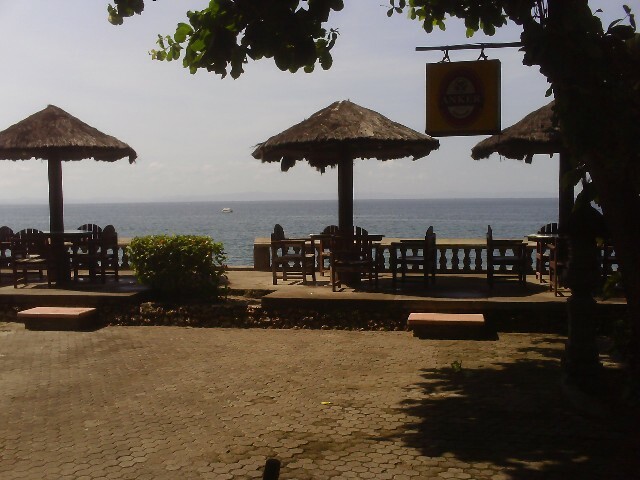 Graha Beach Hotel cottage style rooms on the hill overlooking Senggigi Beach. Prices US$75 per night.